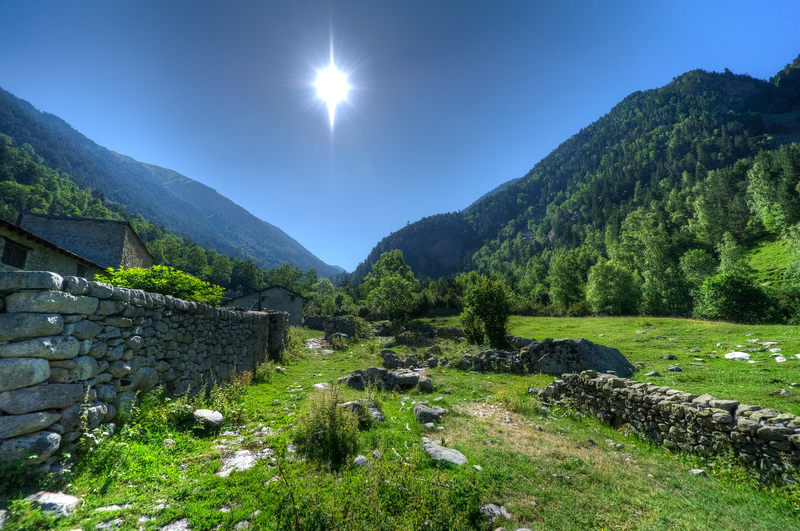 The Madriu Valley in Andorra is a beautiful and preserved region of one of the smallest countries in the world. Despite the size of Andorra, the Valley is large enough for a full day of hiking with the option of overnight staying in the mountains. The valley is still used for grazing by local farmers. If you do get a chance to visit Andorra take the time to go up into the valleys. The country may be small, but not so small as to preclude a wilderness experience. 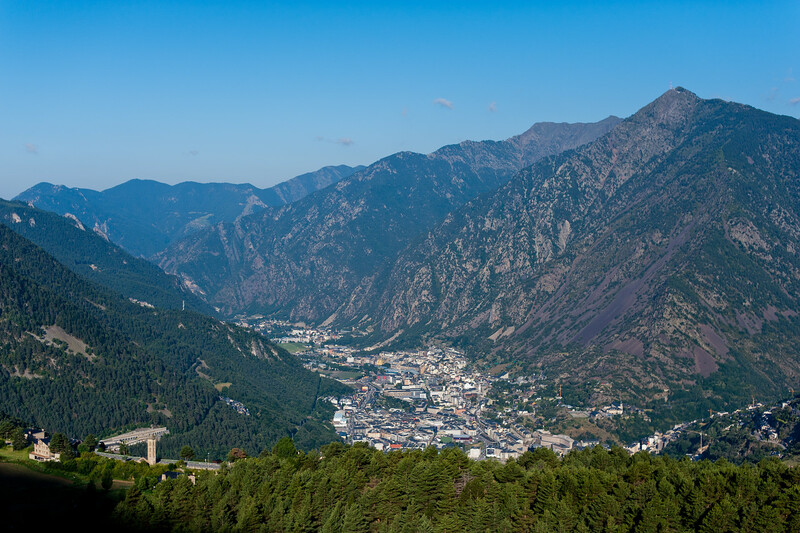 The Madriu-Perafita-Claror Valley is the only UNESCO World Heritage Site listed from Andorra. It is a cultural site that was inscribed into the list in 2004. In 2006, there were extensions added to the original site. 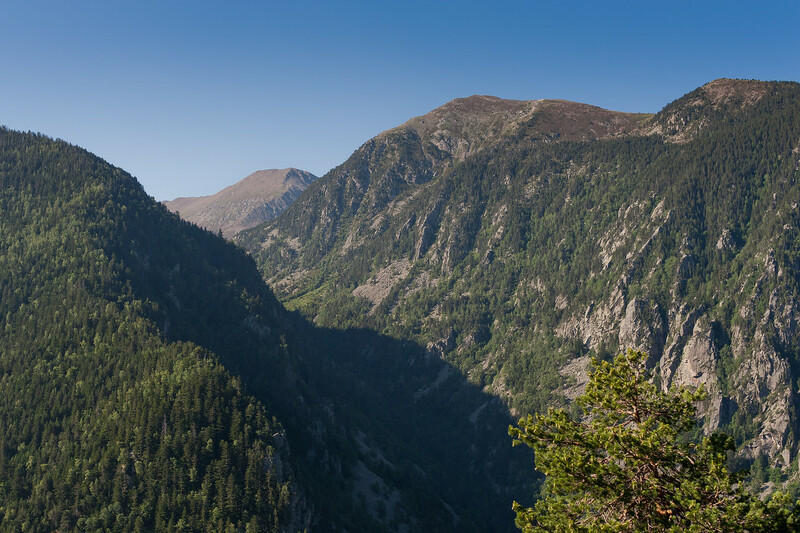 This glacial valley is located in the southeastern portion of Andorra with a total area of over 42 square kilometers. 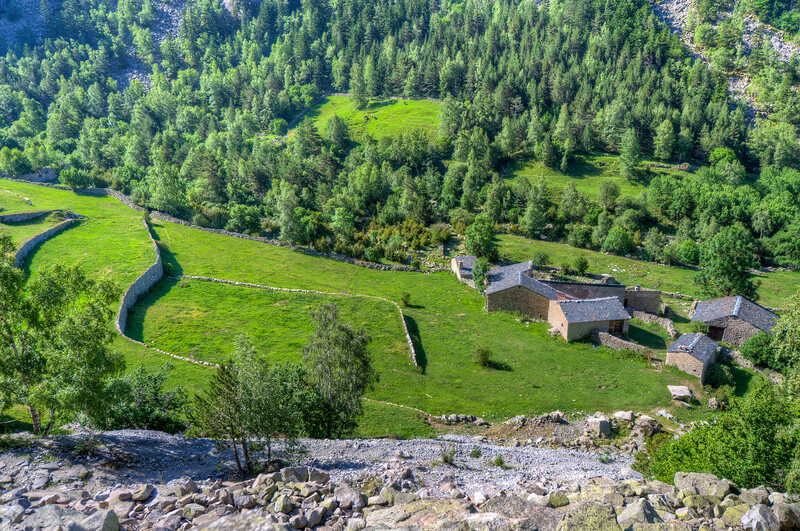 This portion of the valley comprises about 9% of the total land area in the country of Andorra. It was recognized by UNESCO because it is a rare habitat for endangered wildlife species. At the same time, the majority of the valley is underdeveloped, which means that many of the cultural traditions that transpired in the valley for many centuries have remained intact. The Madriu-Perafita-Claror Valley is a glacial landscape consisting of craggy cliffs, wooded valleys, and high pastures. On three corners of the valley (on the eastern, western and southern side), it is surrounded by mountain ridges. On the northern side, there is an escarpment that connects this valley to another valley: Valira Valley. The Madriu-Perafita-Claror Valley is isolated from the rest of the country. In fact, it is so isolated that there are no roads that lead to this valley. Instead, there are only foot tracks that are accessible only via foot. In the summertime, the high pastures in Madriu-Perafita-Claror Valley are grazed by horses, sheep, and cows. This land is owned on a communal basis, as it did during the Middle Ages. The shepherds of these animals stay in stone huts in the borders in order to oversee these animals. Aside from these animals that graze the valley, there are several animal species that inhabit the region such as roe deer, foxes, marmots, pine martens, squirrels, wild boars, mouflons, and charmois. Aside from the natural beauty and well-preserved natural landscape in Madriu-Perafita-Claror Valley, it is also known for its cultural value. Today, the valley is filled with various structures such as dwellings, tracks, field terraces, and remains of the ironworking industry in the area. The success of the ironworking industry in this region demonstrates how the locals utilized the resources available within the Pyrenees Mountains for more than 700 years. At the same time, it is also a testament to the quality of the ironworks in the region for these structures to remain intact for such a long time despite the social structures, climate, and other factors. There are two kinds of settlements within the Madriu-Perafita-Claror Valley: Entremesaigues and Ramio. These two settlements are located at the narrow valley floor. These settlements were available year-round until 50 years ago. Since then, these settlements were only occupied during the summer time. These houses were made out of local granite and had schist roofs. There is also a large barn attached to each house for storage purposes. Most of the items stored are hay and grain. These houses and other parts of the settlement are the only privately owned properties that are encompassed by this UNESCO site. View my complete list of UNESCO World Heritage Sites in Andorra. 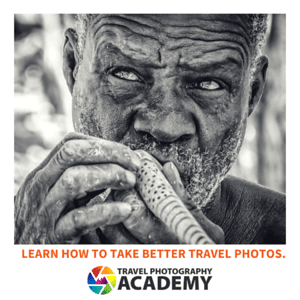 Nancy & Shawn... Inspiring YOU to Travel! It feels like we are standing in the scene/picture, as usual what a great shot!… we are curious how you would pronounce “Madriu-Perafita”. ?? Wow! I love your idea of showcasing UNesco heritage sites! Such a good way to bring attention to these amazing places! I feel tempted to steal your idea but my photography is not nearly as good!